Georg Seidel was born in Aachen, Germany, in 1960. Just four months later, his parents whisked him off to Bangkok, where his father worked as an optical industrial developer. It is only when Georg was 10 that the family unit moved back to Germany; this time to Stuttgart, where his father bought into the big optician chain: Optic Schneider. In essence, the optical world is all Georg ever knew growing up. The defining moment came when Georg was around 13 and went into his father’s shop to find one of the clients sobbing. 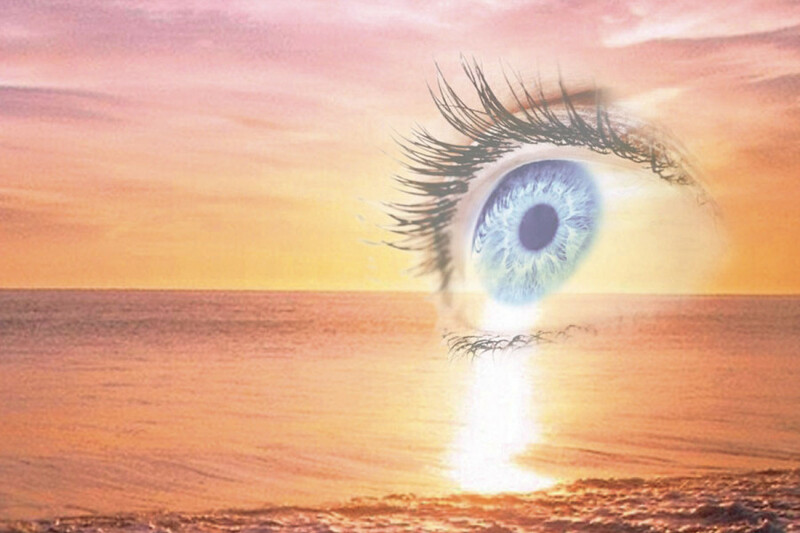 It turned out that his father had masterfully developed a very sophisticated lens that, against all odds, afforded the man the return of his sight. This moment had such an impact on Georg that he decided, there and then, that he was going to be an optician like his father. really grasp the trade. This naturally led him to undertaking full college training from which he emerged, aged 23, as a fully qualified optician. And so it came to be that Georg returned to Stuttgart to work in his father’s shop in the mid-90s, and later moved on to Munich. By 1998, as Georg approached 38, he was distinctly missing being near the sea, until one fateful day that he spotted an advert for a shop for sale in the Balearics. He responded to the advert, and enquired about the weather, “Don’t come, there’s so much wind here,” came the response. Needless to say, Georg flew out the same day, windsurf in hand! 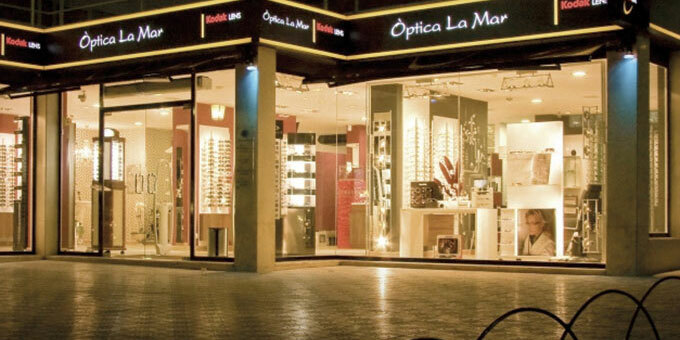 It took very little persuasion to take on Optica La Mar, previously owned by a German optician, and slap bang on the seaside promenade of Santa Eulària. With a little help from his father, he settled the previous debts on the business and opened immediately, refurbishing it to its present-day glory as he went along. In 2003, he met his Spanish partner, Julia, who brought to the relationship one daughter, who was soon joined by two more siblings. 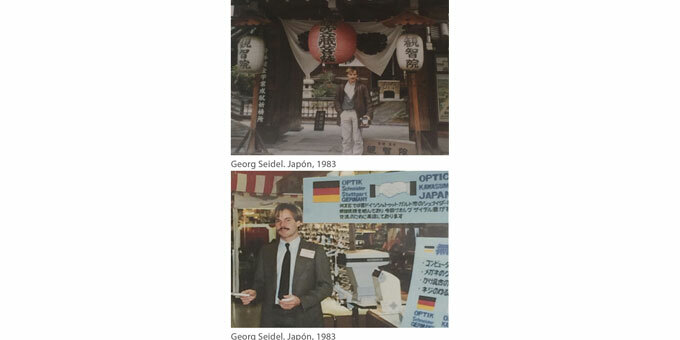 To this day, the same professional ethos he absorbed in Japan has remained with Georg, bringing with it a regular faithful clientele: “People from all over the world keep coming back. They wait until their next trip over here to see to their optical needs. It fills me up.” Just as his father did, he believes in going the extra mile. To him, his customers are more than just clients, all drawn by his imitable skill of investing in them as people; by remembering their names and life stories. 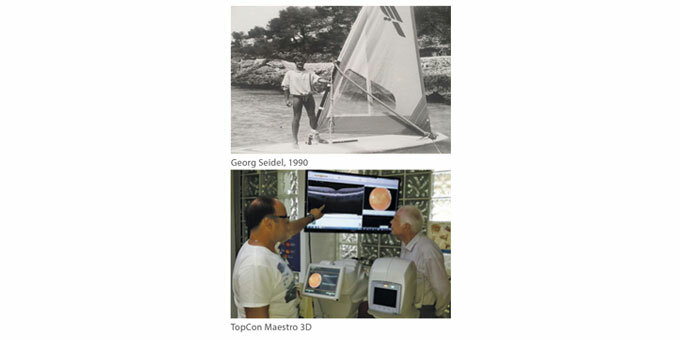 He also prides himself on his meticulous rotation of gadgetry – changing all eye testing machinery and lens care machines every two years, and fanatically keeping up with the latest technological trends.